Organize a Discussion in Your Community! US Campaign member group Librarians and Archivists with Palestine is excited to announce their newest campaign: "One Book, Many Communities: Mornings in Jenin." 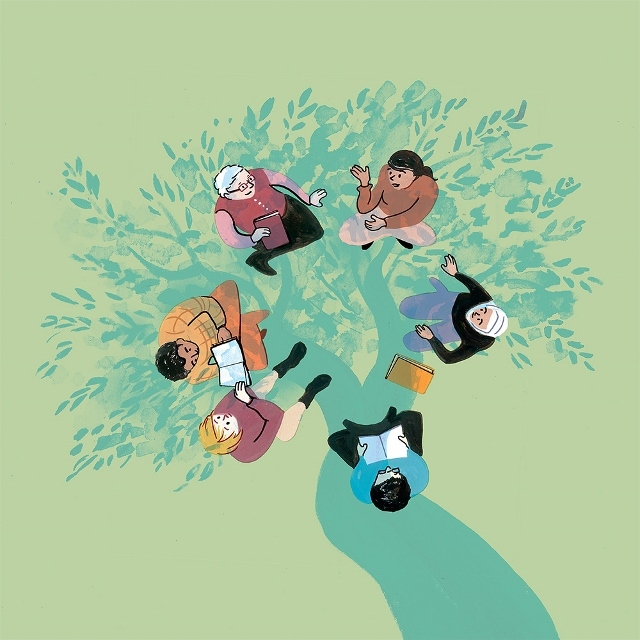 "One Book" is an international reading and discussion initiative drawing inspiration from the "one book, one town" idea that brings people together to talk about a common book. LAP has selected the historical saga Mornings in Jenin by Palestinian-American author and activist Susan Abulhawa as their first "One Book" title, and discussions will be held in January 2015 around the world. Can you organize or host a Mornings in Jenin discussion at your library, local bookstore, Students for Justice in Palestine chapter, school, place of worship, or home this January? LAP has put together a toolkit to help you plan your event with ideas about how to hold great discussions that will spark interest in further exploration of Palestinian history and culture. They will also help with promotion by listing your event on their "One Book" site. You can purchase the book directly from Susan Abulhawa here and use the promo code "lap1book" for a discount. This is a great opportunity to create a broader awareness and understanding of Palestinian history and the struggle for self-determination. If you have ideas or questions, please email librarians2palestine@gmail.com.